for your first booking over £100. Great cleaning services come with great responsibility. We offer remarkable results not only for sofas but also for various types of upholstery, prices start from £18. If you are looking to hire a team of vetted cleaning technicians, remember to contact Bromley Cleaning and Maintenance. We are a well-established and renowned business in London that is known for offering excellent quality carpet cleaning services in Bromley. Book us if you want your property to be thoroughly cleaned and your money – well-spent. You can rest assured that by hiring Carpet Cleaning Bromley, you will enjoy nothing but first-class cleaning services in BR1. Our team is made up of properly trained and certified professionals. Also, the tools and machines with which our staff is equipped are modern. We regularly receive excellent client reviews and we respond to bookings made on a short notice since we work seven days of the week and we do our job in a very organised and efficient manner. Carpet Cleaning – an excellent solution if you want to restore the good appearance of your carpeting. We have equipment with which we can sanitise an impressive range of carpet fabrics and remove various kinds of stains from their surface. Sofa Cleaning – offers remarkable results and it is suitable not only for sofas but also for various types of upholstery. The size or the material of the furniture will be carefully inspected before the cleaning process so that our experts can successfully pick the ideal cleaning method for your sofa. Mattress Cleaning – we will eliminate all bacteria and dust mites from your mattress which threaten your health on a daily basis. A service that is highly recommended to people who suffer from asthma or a chronic respiratory illness. Curtain Cleaning – an easy and affordable way to give your curtains a facelift. We will restore your curtains by cleaning them in the utmost thorough manner. Our professionals will even deodorise them. Jet Wash Cleaning – opt for this service if you need to have your driveway, patio or even the exterior of your property cleaned. We rely on high-powered equipment that can effectively clean concrete, bricks and many other kinds of surfaces. Hard Floor Cleaning – can increase the longevity of any hard floor. Our team will remove grit, dirt and grime from marble, tile, stone, concrete and many other types of floors in domestic, industrial, business and commercial properties. 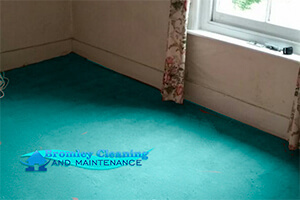 With Carpet Cleaning Bromley, you get not only top-notch cleaning services in BR1 but you also enjoy affordable prices. All customers are entitled to a personalised quotation which our competent staff will estimate by carefully taking into consideration things like your financial abilities, personal requirements, as well as the type of cleaning job that is to be executed. No matter whether you choose to hire us for a one-time or a regular cleaning project, there will be no surcharges. If you are looking to make your life simpler this is the right way! I did it already, with weekly visits from their maids clutter is no longer an issue for me! Thanks to all the guys from Bromley Cleaning, you’ve been very professional and polite! Book online, or just ask for a quote for any service, we'll answer as soon as possible.